I have been MIA for the longest time for no good reason and this post had been procrastinated for over a week. Finally mustered up the energy and after successfully overcoming the battle of laziness, I sit to pen down this write up. Ok, now that was quiet a overwhelming preface but I guess this was bound to happen since I was away from this page for way too long. Now getting straight to the topic. 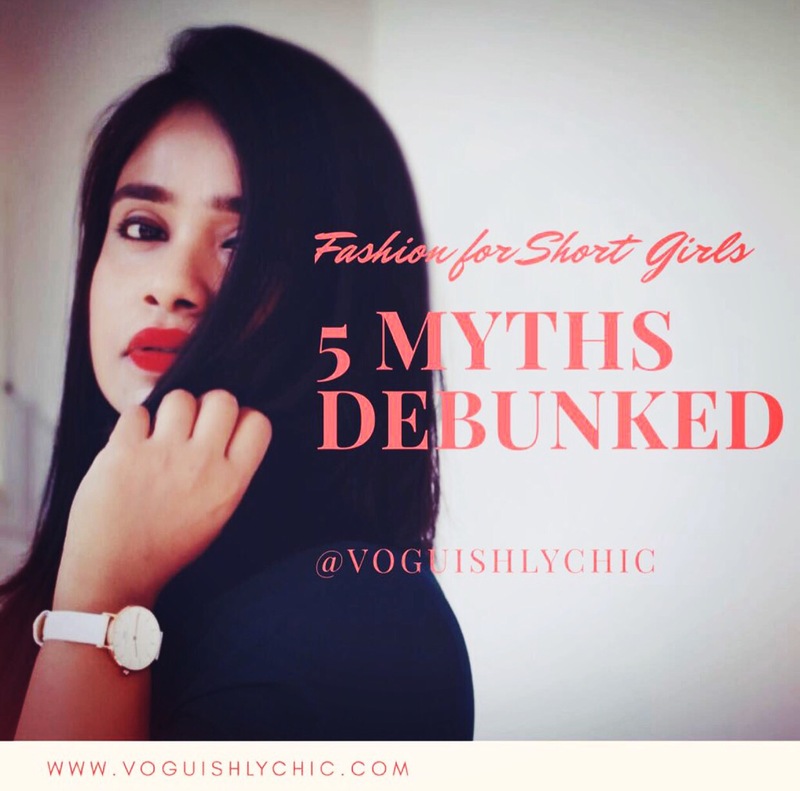 The premise of this post revolves around busting a few myths surrounding the fashion for short girls. What I do want to say before I begin with the post is that no matter what frame you are born with, no-one in the whole wide universe should tell you what to wear or what not. 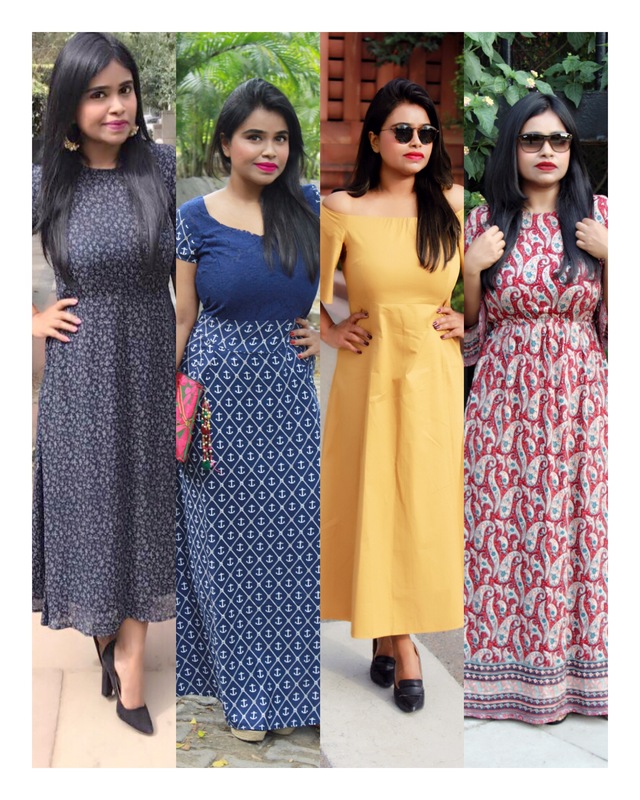 If you feel like a rocking a maxi dress or a leather mini , go ahead and flaunt it in your style. 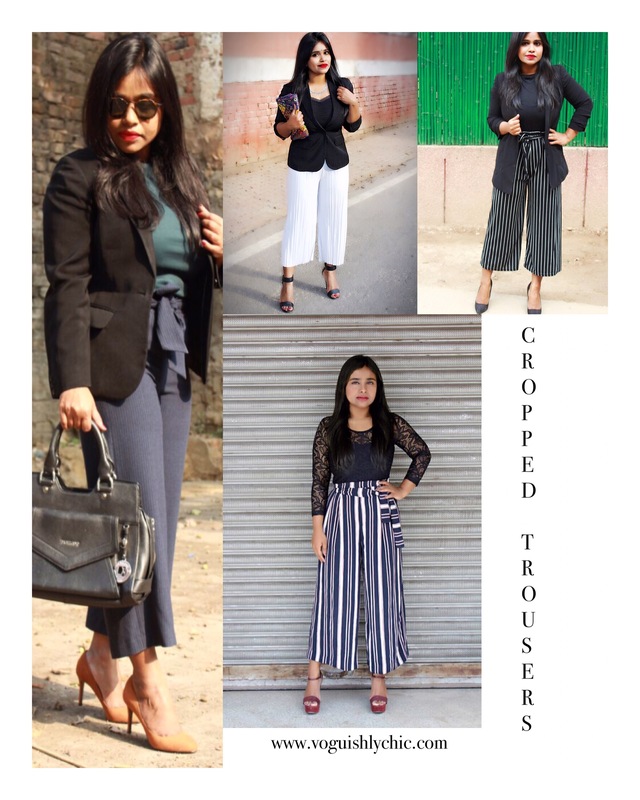 However, what I do want to put across through this post is clearing away a few myths regarding fashion for the petite frame. Says Who ?? A maxi dress or a skirt is actually universally flattering and accentuates every frame. Opt for a one in printed hues, block colors or even an off shoulder. Embrace thy maxi and slay it in style. 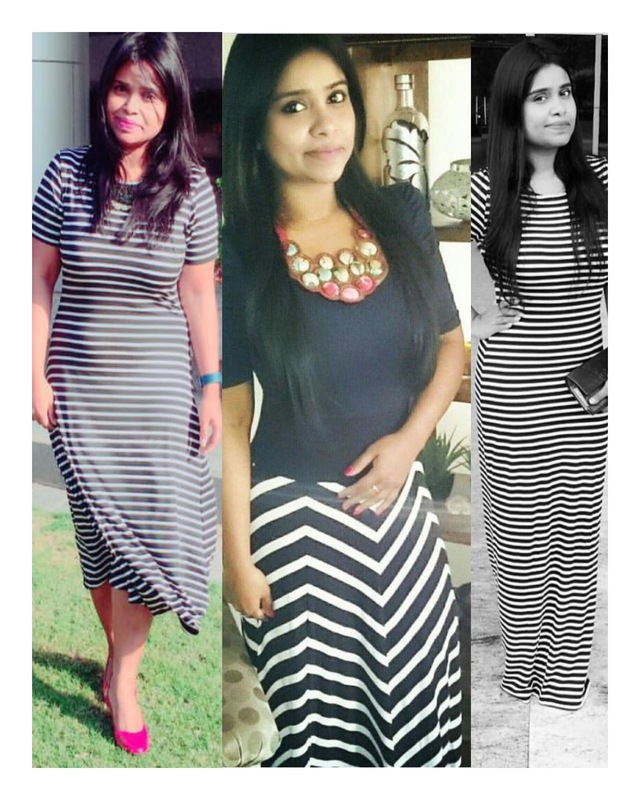 Horizontal stripes are always blamed to add volume and hence there are a lot of myths surrounding it. However, to the contrary, horizontal stripes can do justice to your frame if you pick your stripes wisely. Make sure the stripes are not very spaced and are as close to each other. NO!! !NO !! NO !!! I personally love the midi skirt. Its Victorian appeal fascinates me the most. 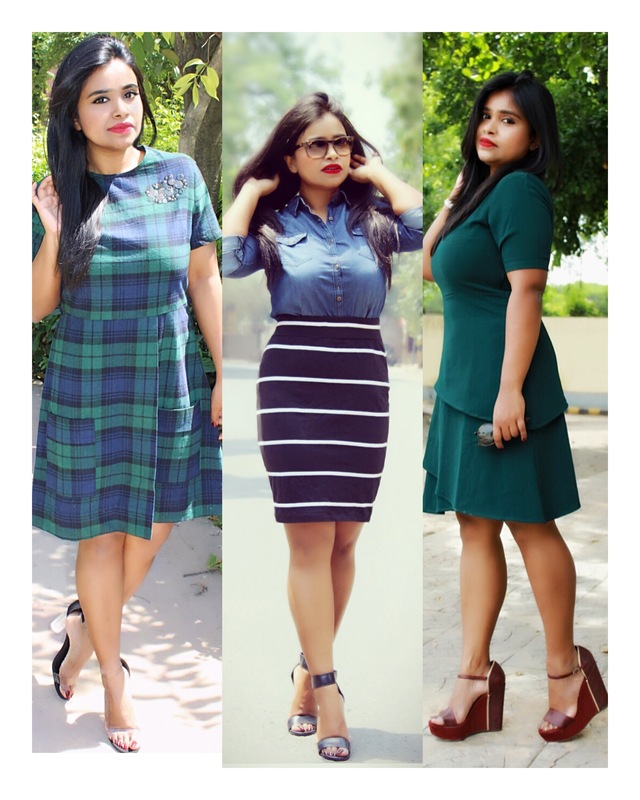 Short and petite girls should opt for a length that does not cut their calves and you are set to rock the trend. This is probably the lamest thing I have ever heard. Primarily because, it actually accentuates the height instead. So don’t be scared to pick these babies. Cropped hems are actually very flattering to our humble frames. They actually add an illusion of height and also makes the frame more slender. Debunking these myths had always been on my mind and now since I successfully managed to have written the post, I can peacefully strike it off from my agenda. Great post! I am 4’11” (so short) but it doesn’t stop me from loving fashion! You proved all those myths wrong because you look terrific!! I was considering adding a fashion category to my blog someday when I’m ready. Thank you for sharing! highways pants or jeans make your legs and booty super good. and i love the way u combine the belt on it(stomach). Absolutely!! Thank you so much for stopping by. Inspiring piece. Nice to see such articles…. Keep up the good work.. Liked this post very much, you compiled this blog post amazingly. Love this, I’m pretty short and I usually have a very hard time finding pieces that fit me perfectly. 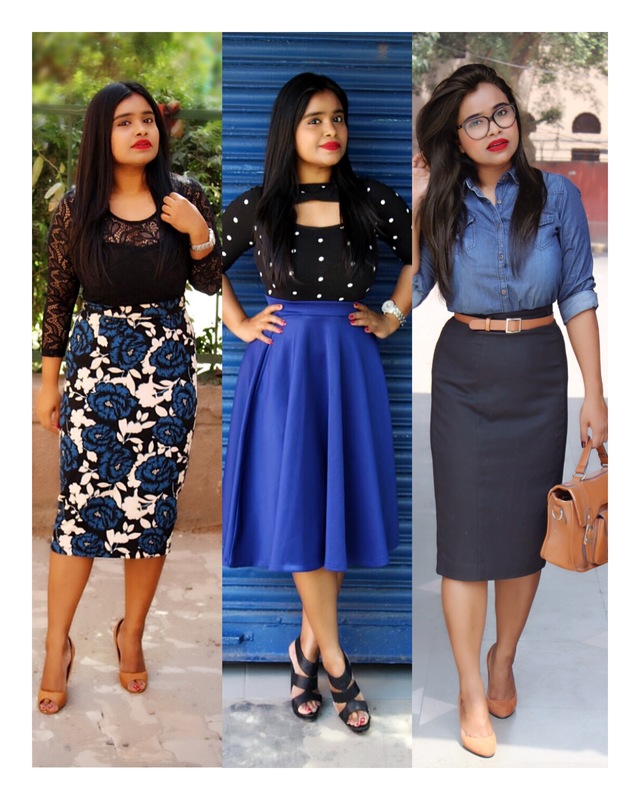 Love your outfits and great post! Can totally relate since I’m short indian gal as well!